Swatches and scones, darts and Darjeeling. In the world of high fashion, haute couture and afternoon tea rarely mix. Yet every season at The Berkeley Head Pastry Chef Mourad Khiat transform runway looks into cakes, cookies and various confections as delightful as they are delicious. What’s more fun than sitting in an impeccably decorated salon, alternatively sipping champagne and tea? Fashion. Themed. Pastries! 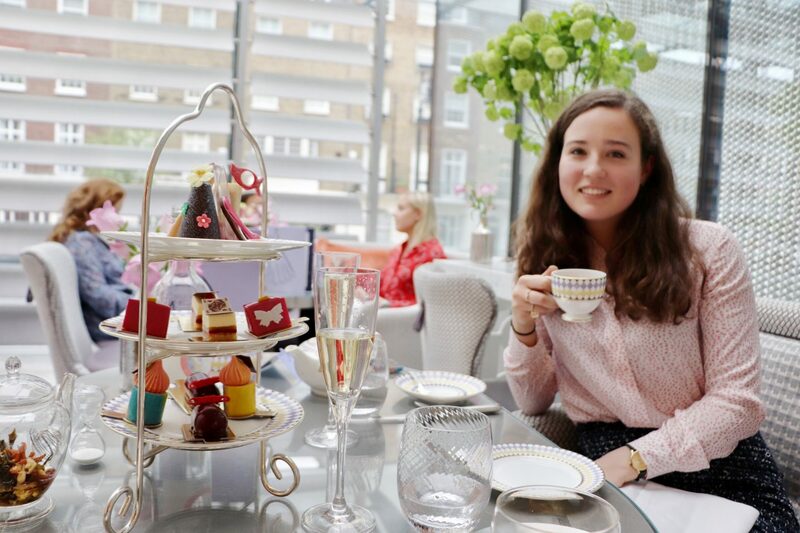 I spent my Saturday indulging in one of the top afternoon teas in London, a city whose love of prettiness and good food is after my own heart. Everything was done up in chic shades of light gray, cream and lavender. Clearly The Berkeley knows their audience. As a university student I live vicariously through the interior design of others and The Collins Room was giving me major house envy. 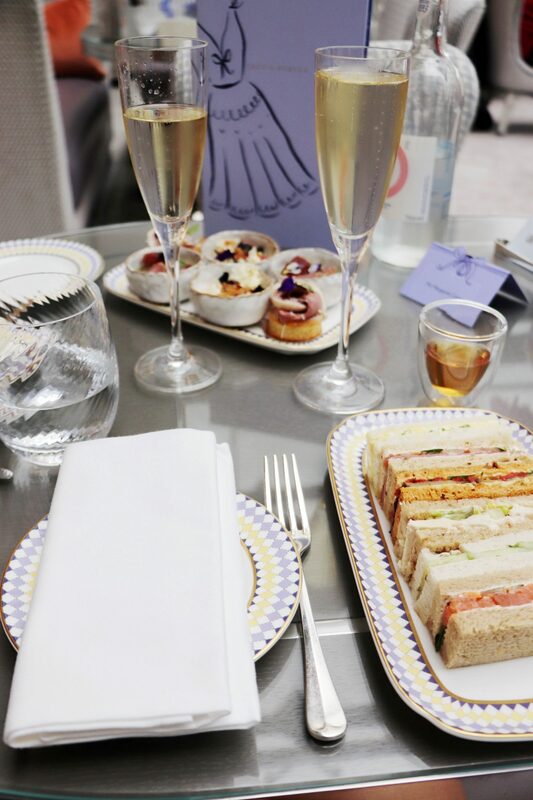 Not only is everything absurdly lovely, but our afternoon tea was one of unconscious comfort. Nothing ruins the mood of a fun meal quite like constantly slipping on too smooth leather booths or a backache from more-pretty-than-practical chairs. 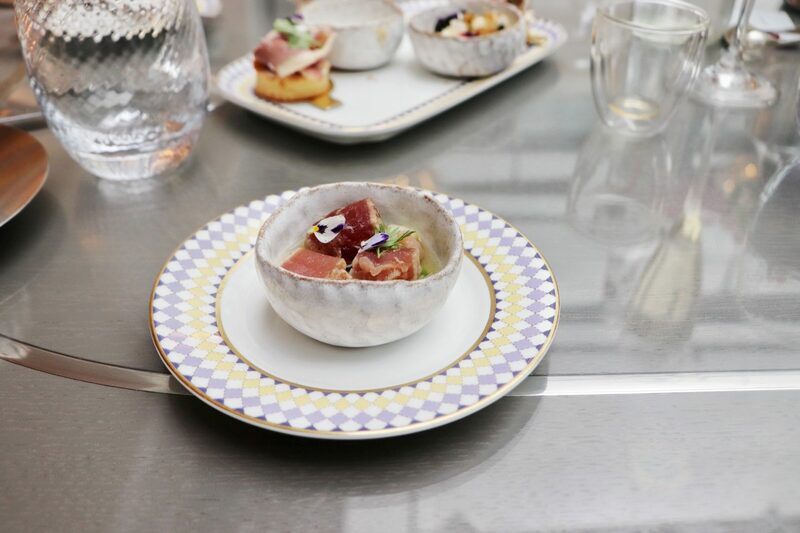 Just as the décor at The Berkeley did not disappoint, neither did the food. Canapés with actual edible flowers made me feel like a sugar plum fairy. My favorite of the dresses turned pastries was a column of vanilla tuile biscuit and raspberry, styled after the Ellie Saab pink fade dress complete with fondant sunglasses. My mum and I had a marvelous time at Pret-à-Portea, a girly afternoon was just what we needed after a weekend of overcast skies and flat hunting. 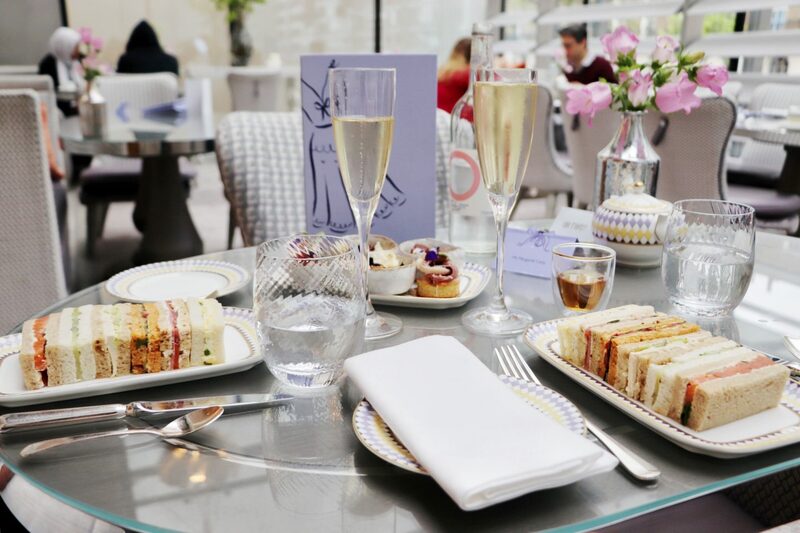 In twenty days I’ll be moving to London, and since The Berkley renews the menu with every collection, a spot of tea and cake with a side of couture might just be in the cards. Many thanks to The Berkley for a wonderful afternoon, this post is unsponsored and all opinions are my own.